Yup – as a partner of theirs I just learned of this, and wanted to make sure you were aware of it as I’m a HUGE proponent of money coaching having been one myself and seeing just how much it can help people. Sometimes you just need a little accountability and to make sure you’re headed in the right direction! Which $$$ coaches are perfect for! What’s better – these sessions by Capital One are shaped around your *life* and *goals* vs the money itself, since that’s going to be the driving force behind your success anyways. The “why” as they say! If you don’t know what you TRULY want to get out of life, ain’t no money planning going to help you as you need that set of values and priorities down right. And this money coaching they offer is set up to guide you in exactly this manner. Session 1: “Get Clarity” — You’ll explore what matters to you, and where you want to go with your life and money. Session 2: “Remove Roadblocks” — You’ll uncover what’s weighing you down and keeping you from making changes. Session 3: “Make a Plan” — You’ll create a plan with your coach so you can do more to reach your goals. 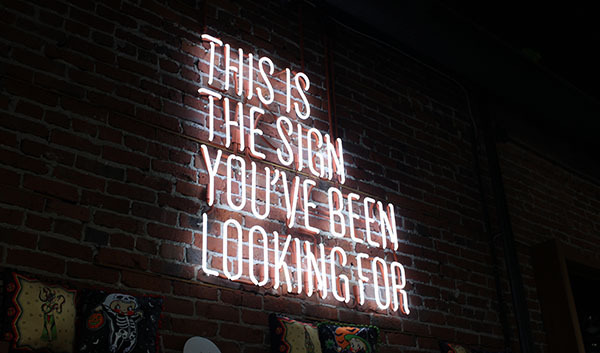 So yeah – if that sounds like something you need in your life right now, you can learn more here, or check out their list of Cafés which offer these free coaching sessions here. Nothing TOO crazy in them, but if you find yourself in the majority of the win section here, it’s something to feel pretty proud about for sure :) Be thankful you’ve come this far! Pay attention to your money now vs later for the best shot of success! Align your life with your goals/values, while keeping the Big Picture in mind – since that’s really what you’re after in the end, not the dollars and cents! And lastly, if you can benefit from some good ol’ fashion accountability, make sure to take advantage of Capital One’s free money coaching sessions hosted at a number of their Cafés! It’s going to be an ongoing thing, and all you have to do to grab them is make an appointment. #FinancialLiteracyMonth has never looked so cool! 360 Savings Account: Fee-free, and comes with the ability to open *multiple* accounts so you can have a ton of savings buckets going on for all your goals! (Emergency fund, house fund, vacation, Xmas, etc). You can see a review of them we did over at Rockstar Finance here, and then here’s a post we featured on why having *more than one* savings account can be better for your finances. 360 Money Market Account: Fee-free online savings account offering a high-interest rate (currently 1.5% for $10Gs+). PPS: This post was sponsored by Capital One… in case it wasn’t super evident by now :) I use them for all my biz banking accounts and have been pretty solid for me over the years. Ooh!! That sounds fun :D Such a nice initiative by those peeps. I wish there had been financial coaching sessions in my college, that would have been sooo cool. Ah well, PF blogs seem to be filling that void pretty nicely! Oh man – yeah!!! Would be MUCH better than all hose free t-shirts and tchotchkes they used to pawn to everyone for credit card sign ups before they were banned! I totally fell for that trick my freshman year! I’ve been a Cap One 360 (former ING) member since 2007 and keep my emergency fund and other cash I don’t want in my checking account with them. I especially like the 25 sub-accounts which make it easy to save for specific goals, they only take a few seconds to set up. No complaints and highly recommend them. They don’t have a Cafe near my neck of the woods, but I’d go for the Peet’s coffee. Man I thought that was clickbait and people would continue needing to duck under window sills to learn from a class lesson on how to be a rockstar! Cap one is great for doing this! A quick Google search seems to indicate women save more money than men but maybe not for retirement though Vanguard says they save more than men there in work related plans. So maybe women want to save more but actually are doing okay and men think they are okay but actually need to save more? And really according to the other stats, most Americans could save more if they created wiggle room in thier budget with extra income or less debt or less spending on things that aren’t actually priorities? Jennifer, I had this very same thought! My mom finally met with a financial advisor for the first time at 58 (I’ve been trying for years, but it’s been a process) and he outlined that she’s actually in a lot better shape than she thought between her pension, social security, and mandated state retirement. She won’t have a crazy amount to spend in retirement like she wanted, but she can definitely live comfortably and go on vacations once a year without changing much of her behavior. The crazy part is prior to that meeting, she firmly believed she could never retire, when she was on track to retire at 65 this entire time. Thanks man!! It’s an incredibly (unknown) resource right now – we need help getting the word out there! Awesome that it doesn’t apply only to cap one members — thanks for sharing! Also, so true about people putting on a show. I can’t tell you how many people I know who live that debt-fueled lifestyle just to show others how well off they are… Honestly such a head scratcher why they do this. I guess some people need that external validation. Yeah dude! And I know I’ve said this to you before, but i still just LOVE your blog name haha… Is there any deeper story to it relating to alcohol or anything, or just more in the “wake up and realize what you’re doing with your money! !” sense? Thanks man! No alcohol related meaning or anything like that thankfully. More of a commentary on taking a cold, hard look at investing/personal finances, as opposed to the screw it, let it ride mentality. Also a reminder of the dot com bubble mentality — i.e., you couldn’t have possibly been sober when you invested in Pets.com…. So sad there’s none in Ohio! I was so surprised to see your post on Thursday! Free money coaching? Sounds like fun! I love Capital One! I was with them when they were ING, and I use their products for my business savings/tax savings. Does the women’s savings amounts include all women? Could the statistic include stay-at-home moms, who aren’t earning anything to put away? That was the only thing I could think of to explain it. That sounds like a great program. I will check them out. I don’t have an account at Capital One. Currently, many women make less money than men. Some studies show women make 80% of men in equivalent jobs. So in many cases, there’s just less money available to save over a lifetime. Women live longer than men. That’s more money you have to save up to keep on living. Women influence 83% of all consumer spending in the US. To me, that says women are statistically spending more per capita than men. (http://www.genderleadershipgroup.com/the-inclusionary-leadership-blog/210). If you see money continually leaving your possession, you’ll probably question if you’ve got enough stored up. Non-data aside: As a woman, I’m very aware of the fact that I don’t have children to support me as I age. It’s me myself and I unless I can bribe some nieces and nephews with my will to help me out. Gotta have enough for supporting myself and bribing/paying caretakers. How much will be enough in 40-60 years? I dunno. So I do the best I can. All fair points!! Thank you! Great points, Kristen! I actually do have a child but that does mean that I often go for the job that is closer to home, with fewer working hours and no travel requirements so I can be more available for our child at home. This oftentimes means staying in a lower-paying position. Men are also statistically favored for managerial positions, although I will admit that does seem to be improving. 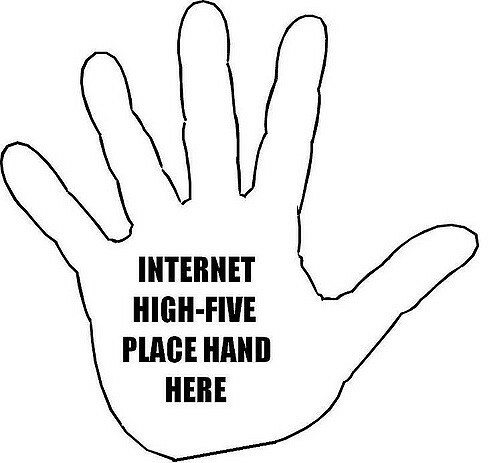 My hand obliterated your hand during that High 5.
hmmm…. next time I’ll have to try an internet fist bump then! Doesnt look like they have it in my area. Good to know, though! Thanks! I’ve been looking for a place to park a $10k emergency fund and this 360 Money Market looks like a great fit. After a little research, found a promo code of QUICKONE for a $200 bonus if you deposit $10k by 5/31/18 and keep it in for 90 days (Disclosure- You are supposed to get an email from Quicken with this promo code). Even though there are a few money markets with slightly higher APY, this 1.5% APY and the bonus code make it worth it. Will be signing up! 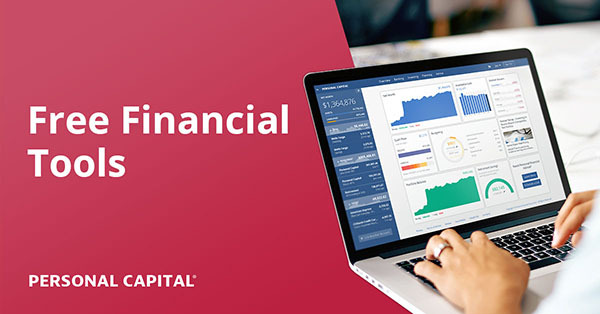 I’ve had a Capital One money market for about a year now – I’m very happy with their online interface, and another perk is that they monitor your TransUnion credit score for you, give you weekly updates, and monthly emails. The only thing I’m not a huge fan of is the time it takes to transfer money to an external account (although, that rarely takes place, so it’s not much of an issue); the bank I keep my main checking account only takes 2-3 days, capital one (the couple times I’ve done so), took nearly a calendar week. They’ve also been steadily raising the rate as the fed does, and they’ll email you when they do so (I believe when I opened the account last year the rate was 1.05%). *Bonus perk – the reason I opened the account was because I was about to do some international travel, and Capital One doesn’t charge any foreign transaction fees or foreign ATM withdrawal fees on their debit cards, and the 360 checking doesn’t have a minimum balance, so I could use it just for a travel account….then of course I was too OCD to have accounts all over, so I moved my savings, which was formerly with Discover (whom I also endorse, especially if you can’t, or don’t want to, meet the $10k required for the Capital One MMS). Oh, I forgot to add, they run promotions like the one WorkingMom mentioned pretty often (I got $400 for having a direct deposit set up, which I was then able to cancel after I met the time requirements) – so if there isn’t one, I might wait a month or so to see if one pops up. Nice!!! Y’all are rockin’ it! Didn’t know about the foreign transaction fee stuff (though since having kids I’ve stopped all international (or almost any whatsoever) travel – hah). Thanks for taking the time to share with everyone :) Now you have to try out their coaching sessions and report back! Previous post: Do You Know Your Insurability?